Medical vacuum filters are designed to protect the vacuum system , and the environment , particles of solid, liquid and microbiolociche. In compliance with regulation EN7396:1 the bactericidal filters have a retention power of 99.9998%. 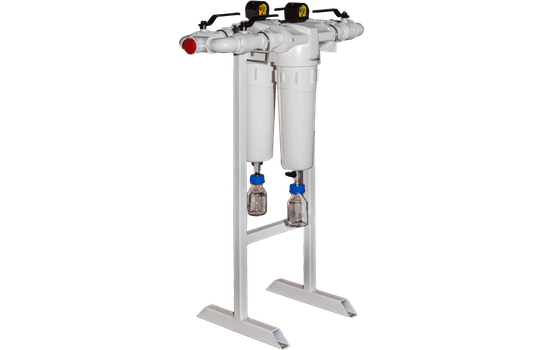 The filter consists of an aluminium container, filter cartridge with a double seal attachment, differential pressure gauge for monitoring the cartridge’s clogging, and sterilisable glass ampoule for the disposal of liquid contaminants. The supply includes four manual valves for managing maintenance and emergencies operations. 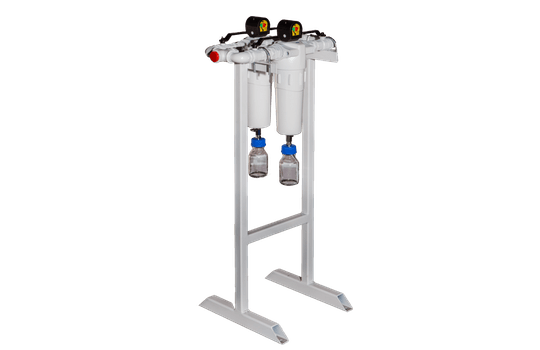 The supply includes two manual valves for managing maintenance and by-pass operations.